South Africa all-rounder will retire from Test cricket following the second Test against India. (CNN) -- It was not the present cricket fans would have asked for when they woke up bleary eyed on Christmas morning. 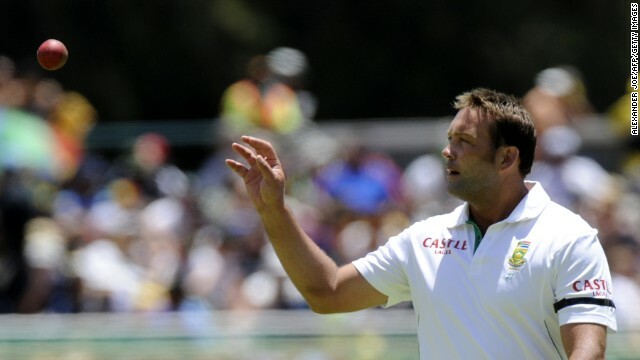 Jacques Kallis, arguably the greatest all-rounder in the history of the game, has announced he will retire from Test match cricket following the second Test against India which begins on December 26. Kallis, 38, made the announcement in a statement Wednesday following a career which has spanned 18 years and 165 Test matches. "It has been an honor and a privilege to have been part of the South African Test team since making my debut 18 years ago," he said. "I have enjoyed every moment out in the middle but I just feel that the time is right to hang up my Test whites. "It wasn't an easy decision to come to, especially with Australia around the corner and the success this team is enjoying, but I feel that I have made my contribution in this format." Kallis made his debut against England as a 20-year-old in December 1995 and has scored 13,174 runs at an average of 55.12, with 44 centuries and 58 half-centuries. He sits fourth on the list of leading run scorers behind the recently retired Sachin Tendulkar, Australia's Ricky Ponting and India's Rahul Dravid. Kallis, whose bowling was also a crucial part of his role in the South Africa team, gained him 292 wickets while he also held on to 199 catches. He will remain available for limited overs cricket and could feature in the Twenty20 World Cup in Bangladesh in March. Kallis hade made 11,574 runs in 325 one-day internationals and providing he remains fit, should be on course to play a key role in Australia and New Zealand at the 50-over World Cup in 2015. "The last two years specifically have been a memorable journey with an exceptional group of cricketers," Kallis said. "I am fortunate enough to have ended my Test career amongst a group of talented cricketers but more importantly, friends whom I will cherish for years to come. "I don't see it as goodbye because I still have a lot of hunger to push South Africa to that World Cup in 2015 if I am fit and performing. "Winning an IPL title with the Kolkata Knight Riders was a special achievement, and I am still determined to taste that success with South Africa at an ICC event." Kallis has been an integral part of the Proteas side which has risen to World No.1 in the Test match rankings. Under captain Graeme Smith, he has been one of the outstanding players alongside fast bowler Dale Steyn, batsman Hashim Amla and the talented AB de Villiers. He was named as the International Cricket Council's Player of the Year in 2005 along with England's Andrew Flintoff as well as being named Test match Player of the Year following an incredible season where he scored five centuries in consecutive matches. Team coach, Russell Domingo, says South Africa may never see a player like Kallis ever again. "The impact Jacques has made on South African cricket has been immense, not just as a player but as a human being," he said. "I'm not sure we will ever see another player of that stature very soon. "Jacques calmness, maturity and presence in the change room will sorely be missed and hopefully he will still be able to play a role in this team's success in the near future. "He has ambitions of playing in the 2015 World Cup and it will be important for us to manage him accordingly so that he is in prime form leading into the tournament." India's Premier League has moved part of its season to the UAE. CNN's Amir Daftari has more. CNN's Piers Morgan decided to face a few balls from Australian cricket great Brett Lee. It didn't go well. Cricket legend Sachin Tendulkar talks to CNN's Mallika Kapur about his career, fan expectations and future plans. Gareth Evans was just a small boy when a team of West Indies cricketers arrived in apartheid South Africa. The lives of these men would never be the same. Jacques Kallis crowns his final Test appearance with an innings that typifies his status as one of cricket's greatest batsmen. 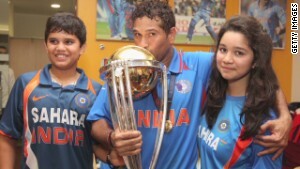 Every sport has its gods -- and Sachin Tendulkar has bowed out as one of the greatest in cricket's pantheon. World Sport investigates what happened to the West Indian cricketers who were shunned after playing in apartheid-era South Africa. It has been 30 years since a group of young men from the Caribbean made a decision that would define their lives. It was supposed to be cricket's "Rosa Parks" moment, and it led to South Africa's sporting isolation for two decades. For the young black cricketers who left the Caribbean to play in apartheid-era South Africa 30 years ago, everything changed that day. He plays the only sport approved by the Taliban, a game he learned as a war refugee in Pakistan.